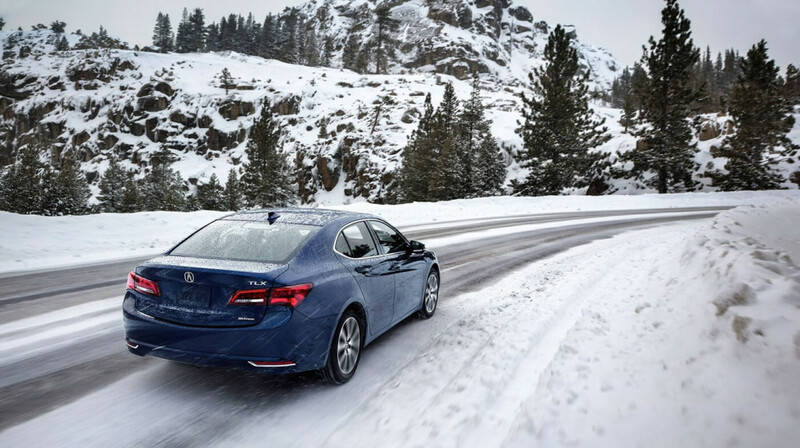 The 2017 Acura TLX is a compact luxury sedan that Edmunds and other review outlets have praised for its interior space, the power of its available V6 engine, and, perhaps most importantly, its stellar features. It comes standard with the basics such as Bluetooth, a rearview camera, and two display screens for infotainment purposes, but the features of the new TLX go much further than that. This 10-speaker audio system is capable of outputting 5.1 multi-channel surround sound from a digital stereo source, and was tuned by Elliot Scheiner, a recording engineer with a Grammy to his name. This feature senses unwanted mechanical noise and emits opposing mechanical frequencies to cancel them out, creating an untainted audio experience. An acoustic glass windshield also help reduce noise from outside the vehicle. This feature allows you to enjoy the features of a compatible iPhone® and keep your hands on the wheel. Integrated apps like Aha™ and Pandora® enable you to expand your multimedia experience further. Survey the world and your way through it by way of an eight-inch LED screen and voice controls. You can even avoid traffic snarls thanks to AcuraLink Real-Time Traffic with advanced Traffic Rerouting. In light of the technological prowess on display, it’s not surprising that this incredible compact luxury sedan has taken the segment by storm, but you won’t realize just how amazing it is until you’ve spent some time behind the wheel. To drive it today, visit Acura of Ocean at 909 Route 35 in Ocean, NJ.